Have you ever tried to measure the performance of your Sponsored Product Ads or Headline Search Ads campaigns on Amazon? It may have proven to be difficult if you weren’t using the right formula or method. That’s where Advertising Cost of Sale (ACoS) comes in. ACoS is a term and also a metric in which to measure the performance of your Amazon paid search campaigns. This term isn’t a normal term in the financial world, so if it’s the first time you are hearing it no worries. ACoS represents the percent of attributed sales spent on advertising by indicating the ratio of ad spend to targeted sales and tells you how well your ads are doing relative to your advertising goals. So, your total sales would equal 25% in the example above. The Total sales is the total product sales generated within one week of clicks on your ads. Other SKUs are also from your inventory and are included, for example if a click on your ad for a tire wheel generates a sale for a car engine it is included in the total sales. Impressions: How popular is the item that you are selling? Are the impressions high, which would mean the product is in a popular category and there are many ads coming up, or are they low, meaning Amazon is displaying the ad often but that product is not popular? Total Clicks: What is your click-through-ratio? If the number is low that the position of the ad may not have been good or that Amazon users were not drawn to the ad to click it. Total Spend: Evaluate how much you spent on your ad and what the cost was per click. You want to make sure you are not spending over a certain percentage of your products price or else your profit margin will be small. Overall Sales: How many clicks were there and how many sales resulted from those clicks? A lot of clicks and very few sales means your ad may need to be changed. Now, with all that information you can properly evaluate your ACoS and have a better rounded result of numbers that tell you more about your ad campaign and product sales than before like your total net and net loss. There will be a lot of numbers that you need to track so it’s important to stay organized. We suggest using a spreadsheet to calculate all your numbers (costs in manufacturing, shipping, tax, import tax, inspection, fees, Amazon fees) and your losses (if any). It will help you understand your profit for each sale and how much you have in your budget to spend on your ACoS for each ad campaign. It’s much easier to control your finances in this manner instead of throwing random amounts of money at your ads. It can also help you see which ads are generating revenue, which ads you are breaking even with, and which ads are causing you to lose money. That helps you better understand your target audience, their likes and dislikes, their shopping habits, and which ads they are attracted to. Improve Upon Your Ads: Try A/B testing on your ads and see what minor tweaks you can make to help you profit. You are already so close that it will be a lot easier to tweak the ad than start from scratch. Boost your Best Seller Rank: Continue to use these ads as is as the extra sales will boost your best seller rank and will result in more organic sales. By keeping your information organized through spreadsheets you can determine all of these factors and see your growth and loss over time which means you won’t make the same mistakes as before and you can build and grow off of your successes over time. As mentioned above, when running ads you want to make sure that you at least break even, that is better than losing money. In terms of ACoS you want to make sure it is not more than 20-25% while running ads. That will result in a direct loss. If your numbers do prove that you are losing money then you may need to take some actions on your ads and readjust and change things as needed to get your numbers back up. Automatic Tagging: Available for Professional Seller Accounts ($40.00 a month) allows sellers to set the maximum bid. They also give Amazon more control and allow Amazon to choose the ads and keywords and phrases to use based off of computer algorithms. Pros: Amazon knows what people are researching, what keywords they are using, what people are clicking on, searching for and all of the testing is done automatically. Amazon pulls all the keywords for you, from your category and related listings, and populates it in your product listing. Cons: You have very little control and cannot change the keywords being used on the bidding level. You can add negative words to negate any keywords you think may cost you money but adding new ones is unavailable. Manual Targeting: Allow you to set up individual keywords which you can research and test yourself. You can then additionally run these keywords with a group of additional keywords for level bids. Pros: You have more control of the keywords being used. Cons: Risky as it is experimental on your part of you do not know what people are searching for, clicking, or looking for. In this method, it is best to split your campaign with different keywords and phrases and use A/B testing to see what people are looking at, searching, and clicking on. Tip: You can run both the manual and automatic campaigns at the same time which will help you control your budget on performing keywords while researching and collecting data with both campaigns. There are three types of keywords that you can use while setting up your Amazon PPC. Broad: Similar keywords in any order including abbreviations and misspellings. Helps you identify new keywords when your products come up. Exact: Specific word or phrase including the spelling, words, and sequence. Your search will yield preference over others as it will be more relevant and a lower ACoS. To maximize your ACoS number, the best solution is to use a mixture of all three words as you experiment on your campaigns over time. Then when you crunch your ACoS you can see the difference between each campaign and the keyword type. From there you can become more specific in your keyword searches and match to what people are looking for exactly. Without tracking your ACoS you will be ahead of your competition as most Amazon sellers have not fully grasped how to utilize ACoS power to its’ full potential. You will not only be able to make your ads better but you will be able to increase the amount of traffic that is coming into your sales through your entire ad campaign. ACoS also can be paired with Amazon’s other tracking metrics to help you watch your ad campaigns and sell more of your items. This is done by Amazon’s tool Amazon Sponsored Products which can be integrated into your ad campaigns. It is specifically designed for the newbie seller and can help you sell more of your products on Amazon with endless benefits. By tracking your ACoS, integrating Amazon Sponsored Products and setting up your PPC you should be selling more of your product in record time. I’d also be curious to hear any feedback you may have about how this jives with your customers’ experiences. Hello Zach, You wrote a good article on why ACoS is not the only metric you should be using and you are correct. However, for many sellers, ACos is the measurement that they can most easily determine and understand which is why ACoS should still be a primary factor in your analysis. 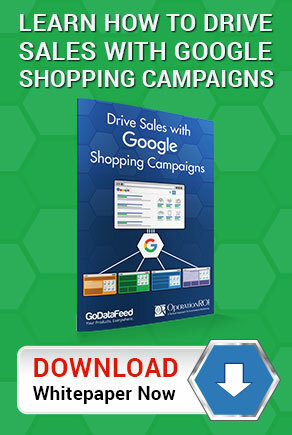 As with any paid search initiatives running on Amazon, Google, or Facebook, you must look at the entire picture to truly determine success in your marketing campaigns.